AFTER two non-fiction booksa��Rajinia��s Punchtantra and Grand Brand Rajinia��Chennai-based author, P C Balasubramanian, shifts to fiction. His latest, Ready…Steady.. Exit, which was launched yesterday, is about two chartered accountants who build an accounting firm and become rich at a young age. With romance and intrigue thrown in for good measure, they come to a point where they might have to exit the game. 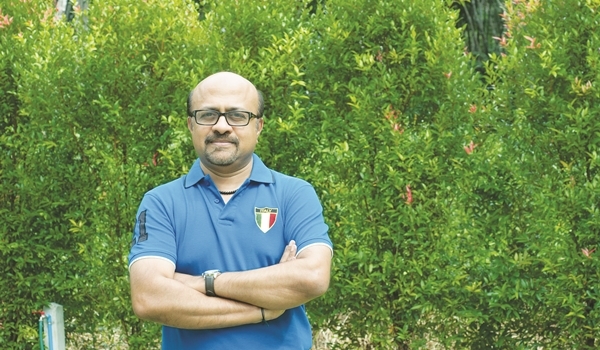 A charted accountant himself, Balasubramanian deeply admires Rajinikanth and also credits his profession for his writing career.A� a�?I wanted to tell a story, hence got into fiction. It is about writing something that you feel gives you the satisfaction a�� apart from the conviction a�� that whoever reads the book loves it,a�? the 50-year-old begins. Taking a year to write this book, the writera��s favourite Indian authors include Ravi Subramanian for his competence in thrillers around financial services industry, Hussain Zaidi for his narratives and Sujathaa��s novels in Tamil that are racy and exciting. a�?Ia��m proud that Indian authors are now amongst the bestsellers in our countrya��aA� place that used to be reserved only for foreign authors. With the growing acceptance and popularity of e-books, Indian writing is only going to travel further and in so many directions,a�? he says. The book is available at Starmark and is priced at Rs 120.